Ancient architecture speaks volumes for itself, rarely needing a heavy-handed designer to layer much onto the original. This refurbishment recognizes the fact that visitors wanting to stay in such a space wish to experience a sense of history. 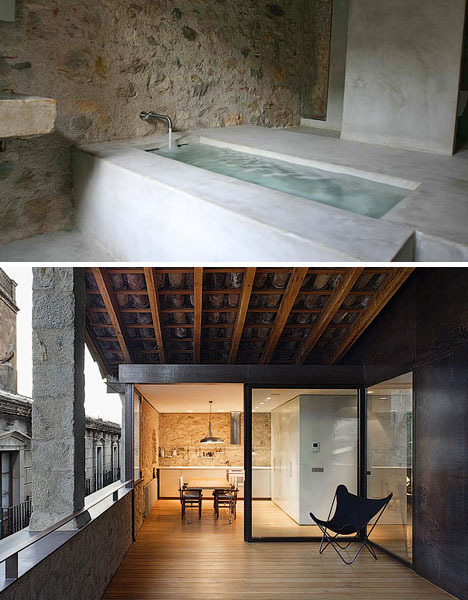 Spanish architect Anna Noguera split this residence in Catalan’s medieval quarter into two rather luxurious, though respectively minimalist, apartments available for rent. 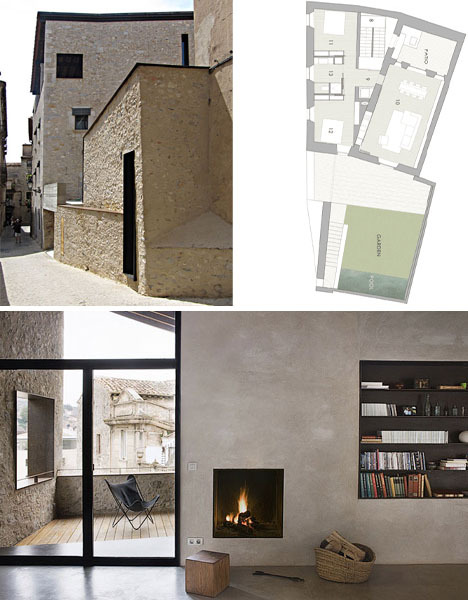 The material palette for interior elements was limited to steel, concrete and wood. 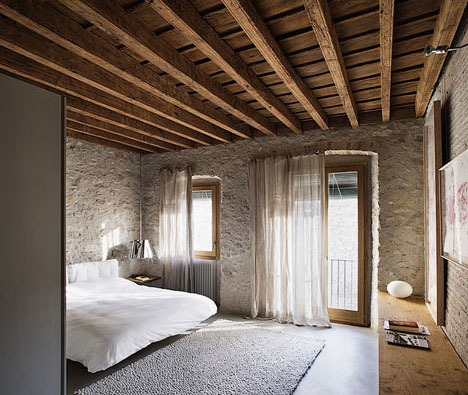 Around each corner one can find exposed pieces and parts from times past – rough and faded stone walls, rusticated wood ceiling beams, chipped and cracked stuccoed columns and railings.�The new additions feel intentionally removed – a television hung with a light touch from a wall here, a low-level contemporary sofa slid slightly out from the wall there. 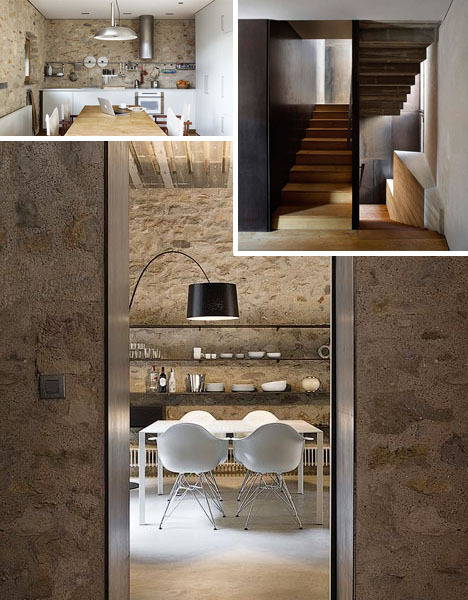 Partitions and doors are likewise kept as thin and simple as possible, like interlopers rather than permanent residents in a heavier, darker and older abode.�A narrow steel-framed staircase features modest and likewise skinny steps – treads and risers that fade into the background.